Includes rental of ballroom, tables, chairs, linens, setup/breakdown, wedding coordination, and catering. 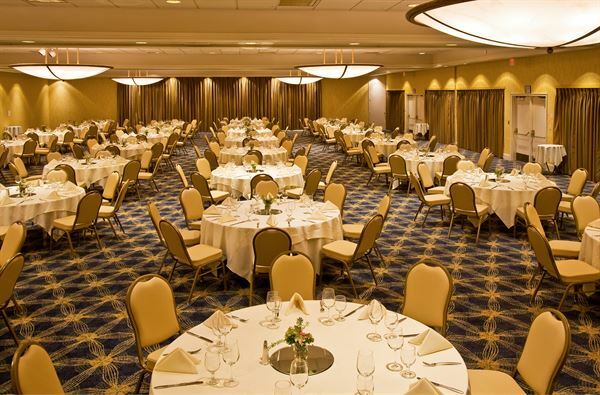 The largest of our meeting rooms, the Grand Ballroom, can accommodate up to 600 people in a theater or reception format. With 12-foot ceilings and an atrium, this room is ideal for high profile events like wedding receptions, fundraisers or custom events of any kind.